"LifeBuilder: Images of God" offers ten studies for individuals or small groups exploring images that Scripture uses about God. The study creatively uses poetic language and earthly images to broaden readers' understanding about God. It also provides questions to encourage personal reflection and evoke group discussions. A 'Now or Later' section is included in each study as well as expanded leaders' notes. In "LifeBuilder: The 23rd Psalm", this well-loved psalm touches our deepest longings and speaks to our deepest fears. Juanita Ryan is a well-known author who communicates effectively to help readers explore the rich message of this psalm and gain fresh insights. Included are nine studies which will help readers apply what they read to their everyday lives, and is an ideal resource for small groups or individuals. 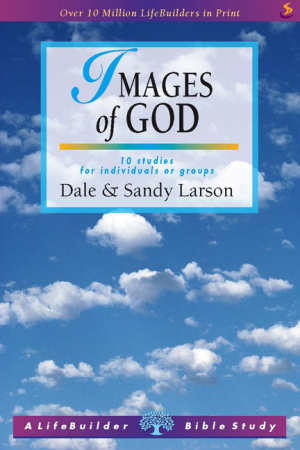 Lifebuilder : Images of God by Dale Larson; Sandy Larson was published by IVP in July 2006 and is our 4032nd best seller. The ISBN for Lifebuilder : Images of God is 9781844272297. Be the first to review Lifebuilder : Images of God! Got a question? No problem! Just click here to ask us about Lifebuilder : Images of God.